Welcome to the website of Raphaelle Fieldhouse a multi-faceted Artist in many different disciplines and mediums. 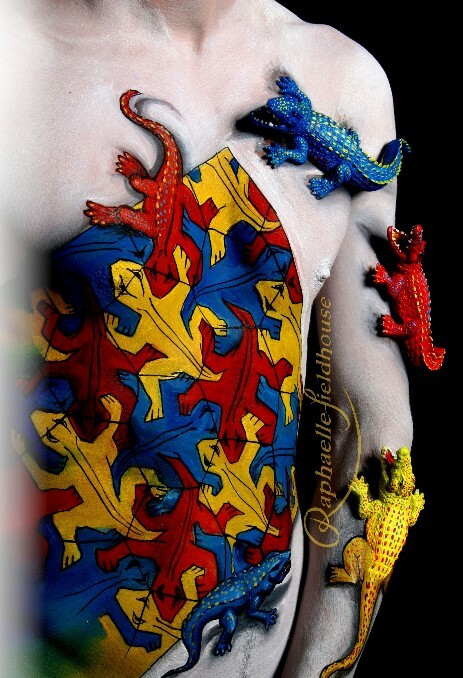 Raphaelle is most noted for her bodypainting works that have won her many titles and much acclaim throughout the world. As well as producing her art she also judges and lectures at several leading Industry events and academies.